This paper contributes to the literature on foreign direct investment (FDI) technology spillover effects, focusing on horizontal spillovers from foreign firms to their domestic competitors. 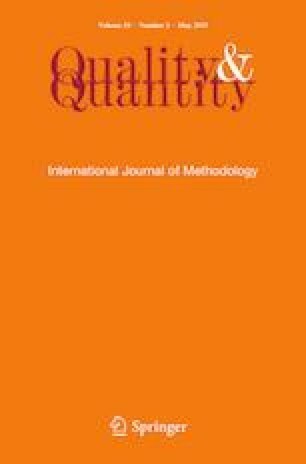 Drawing on a unique dataset of 1018 estimates from 41 studies on FDI horizontal spillovers in China, our main objective is to quantitatively summarize reported estimates corrected for publication bias, and account for the heterogeneity in existing empirical results using meta-regression analysis. Robust to different specifications, we find that (1) the average horizontal spillover effect in China is positive and economically significant; (2) the horizontal spillover effects vary across subgroups of firms characterized by the nature of foreign-invested firms, origin of foreign-invested firms and ownership structure of domestic firms. The meta-regression analysis also uncovers the serious consequences of publication bias and reveals that the heterogeneity in research methods adopted by the profession to a large extent explains the diversity of the reported spillover estimates. We would like to thank Lok Sang Ho, Jules Hugot and conference participants of Recent Advances in International Trade and Finance (Hong Kong, December 2017) for comments and suggestions which have significantly improved the paper. All remaining errors are our own.